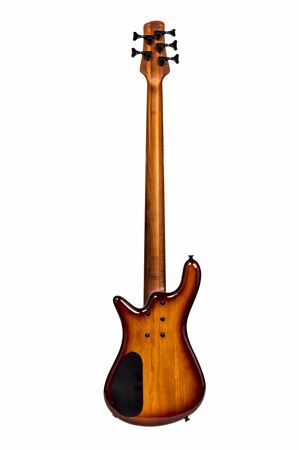 Order your Spector EuroBolt 5 Electric 5-String Bass Guitar with Bag from AMS and enjoy 0% Interest Payment Plans, Free Shipping, Free Extended Warranty & 45 Day Money Back Guarantee. Featuring Spector’s iconic silhouette, the EuroBolt 5 5-string bass features premium, proven tone woods plus professional grade Aguilar pickups & preamps. 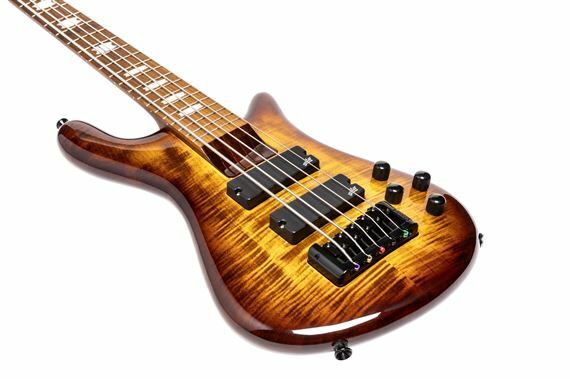 The EuroBolt 5 bass takes the classic Spector design and substitutes a bolt-on neck, roasted maple neck & fingerboard, and premium pickups and pre-amps from Aguilar Electronics. Crafted from premium tonewoods including American figured maple and European alder, these meticulously crafted basses feature Spector’s original deep inset neck pocket design, which provides added sustain and rigidity, professional grade Spector hardware, and a high-gloss finish.